Founded in 2012 by professional disc golfer and tournament promoter Nikko Locastro, Fly Life is built on a vision to progress the game of Disc Golf from a past time into the international sport of the future. Fly Life works with community leaders, schools and local organizations to promote healthy active living through the sport of disc golf. The Fly Life brand is dedicated to producing accessories for the disc golf lifestyle including high quality, symbolic and functional apparel, custom printed original artwork, and Collector Series Discs. Our products are inspired by the unsurpassed diversity and universal people that represent the sport of disc golf. We at Fly Life believe that physical activity, mental stimulation and social involvement produce a healthy and fulfilling life. 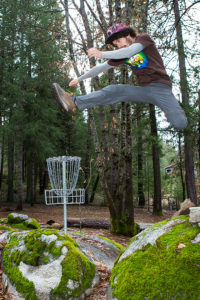 Fly Life organizes high quality, fun PDGA disc golf events for all ages and all skill levels. 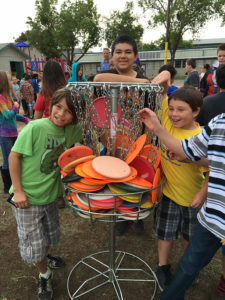 We seek to promote engage, and educate the public about the world’s fastest growing sport, working with community leaders, schools and local organizations to provide informative disc golf clinics. We offer professional disc golf course design, consultation and terrain utilization for public parks, camps, golf courses or privately owned land. In a world of chaos the disc golf course will always be a realm of sanctuary for so many around the globe. There is a common bond flying through the air with a natural connection to Mother Earth. These grounds offer people a chance to connect with each other while competing in the spirit of sport. 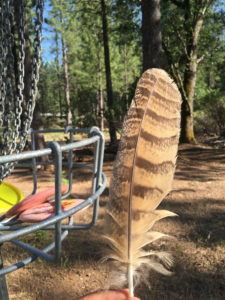 Disc golf is a true form of art that inspires us to use individual creative approaches. Connecting visionary skills, engaging body with mind, spirit and energy you become the creator of flight. One of the many benefits of disc golf is practically anyone can play, all you need is one disc to get started. We are a culture that personifies organic progression. Courses are evolving and disc technology continues to advance. Disc golf is a community building sport that brings people together from all walks of life. If you’re the weekend warrior or the every die hard, Fly Life has you covered. Whether you just got started today or you have been playing since the beginning you are family. Join us to embrace the people, unify the sport, and build on the limitless opportunity for a better, healthier life through Disc Golf. Great to see the website up. It has been a lot of work and it looks great. We wish you all the best Nikko! Lots of love from Sew Fly Originals. That’s awesome Nikko! I love your philosophy and ethos. Normally I’m a reclusive tattoo artist based outta Austin Texas, recently I stumbled onto disc golf, and Nikko by proxy.